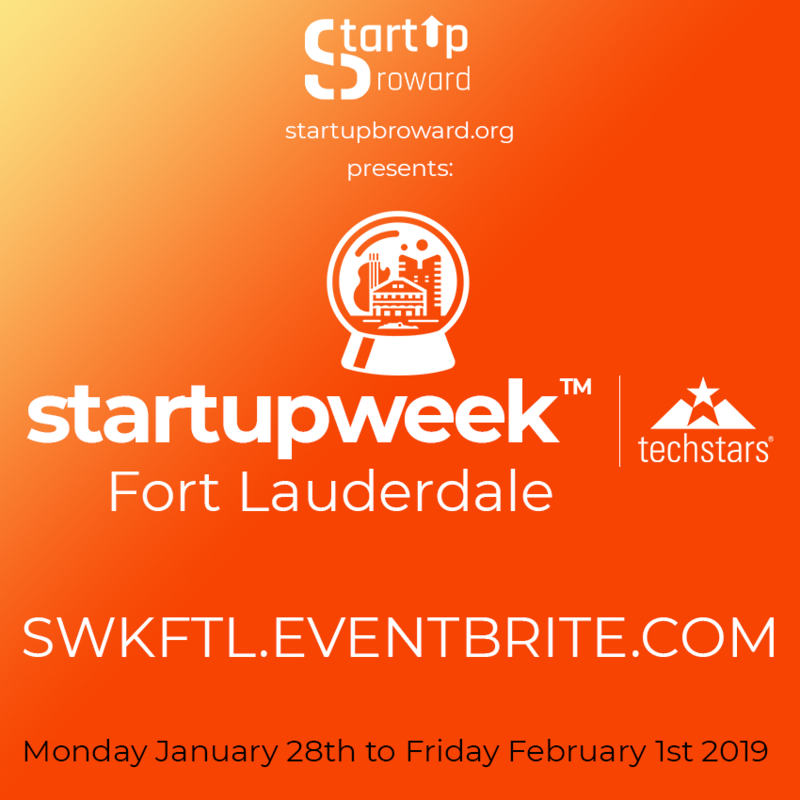 Startup Week™ Fort Lauderdale, the first conference of it's kind held in South Florida and featuring free expert-led workshops, talks, and fireside chats will take place from Monday January 28th to Friday February 1st at various co-working spaces in the community. 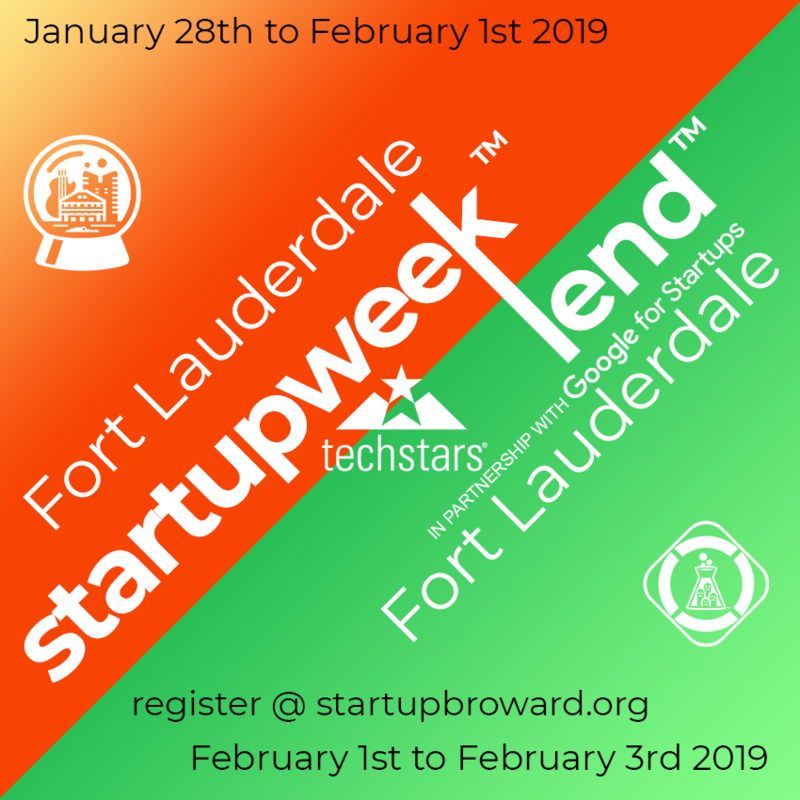 FORT LAUDERDALE, Fla. - Jan. 24, 2019 - PRLog -- Startup Broward will hold Startup Week™ from January 28th to February 1st 2019 in the city of Fort Lauderdale. Startup Week™ Fort Lauderdale is the first conference of it's kind in South Florida and will feature free expert-led workshops, talks, and fireside chats with startup experts. The sessions will not be hosted in a convention center but in co-working spaces around Fort Lauderdale. Startup Week™ Fort Lauderdale is a week-long celebration of entrepreneurship featuring training, networking and social events designed to support and strengthen the Broward startup ecosystem. 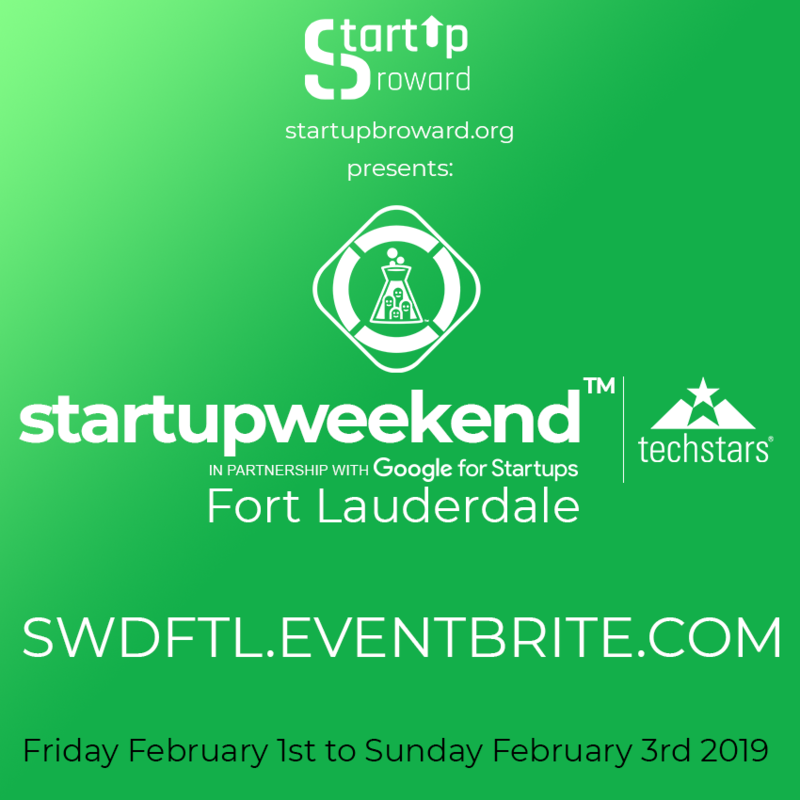 Startup Week™ Fort Lauderdale will immediately precede Startup Weekend™ Fort Lauderdale in an effort to provide in depth training to prospective Startup Weekend™ participants and educate the community at large about entrepreneurship. The following 5 workshops tracks are offered: Startup (BMC, MVP, Pitch etc), ScaleUp (Talent acquisition, Marketing etc), Funding (VC funding, ICO etc), Tech (Hackathon, Product demos etc) and Legal (Startup Law, etc). A first at startup conferences, the Beer Craft 101 workshop will be the only workshop offered for a fee but will include beer tasting and a buffet along with commemorative T-shirts. Startup Week™ Fort Lauderdale tickets are available at the following web address SWKFTL.EVENTBRITE.COM. Conference rooms have strict occupancy limits. Seating for desired sessions must be reserved at the following web address fortlauderdale.startupweek.co. Startup Week is a five day, entrepreneur-led, community-run event held in cities around the world to showcase the local startup ecosystem through meetups, gatherings, lectures, discussions and other activities. From those just starting with an idea to others ready for IPO – Startup Week attendees connect with fellow entrepreneurs, corporate allies and community leaders – strengthening the regional startup ecosystem. Startup Weekend Fort Lauderdale brings together designers, developers, marketers and startup enthusiasts from across South Florida and beyond to share ideas, form teams and launch business ventures. Participants select ideas with the most promise and make as much progress on the business as possible over the course of three days. In addition, business leaders and mentors are on hand to share insights and experience.